Every time we learn something new about someone—across 7,000+ dimensions, including offline purchases—we add it to their profile in real time. Then for each individual, we’ll deliver highly personalised messages they’ll care about, across all devices —with incremental results you can see for yourself. Deliver the best personalised message to the right consumer, every time. Optimise your investment to drive incremental sales and access real-time insights via interactive portal. We recognise and reach consumers like no one else. 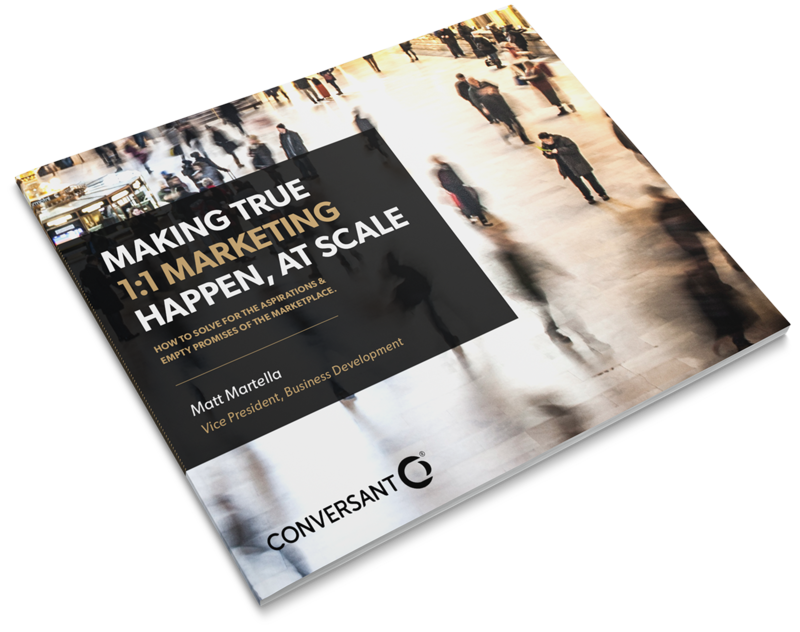 With an unprecedented amount of data, Conversant’s 96% matching accuracy dwarfs the industry average of just 50%. Our understanding of consumers is built from the pseudo-anonymised transactional data (both online and off) of more than 4,000 retailers. And the depth and breadth of our IDs continue to grow as we observe over 80 billion online interactions every day, across every device. That’s millions of verified IDs. They’re completely pseudo-anonymous, scrubbed of all personally identifiable information. And they last a lifetime, so your conversation with each consumer never misses a beat. The most powerful profiles ever built. We track over 120 million online and offline daily purchases to build each profile across more than 7,000 dimensions—including web browsing, app usage, video plays, email activity, cross-screen engagement, life events, hobbies, ad interactions and product interests. Persistently and accurately match all your data to the right people, for one persistent view of each customer across devices, channels and media formats. Have ongoing, personalised conversations with millions, on mobile, video, display and social, along the purchase funnel. Every day we make over a trillion real-time decisions about billions of interactions. Each decision, both for the creative and the media placement, is optimised for each person. And it’s made in just milliseconds, globally across 1.1M websites via 4,000 direct publisher integrations and on 173,000+ mobile apps. We also take significant steps to deliver ads in brand-safe environments, ensuring the highest level of ad quality. 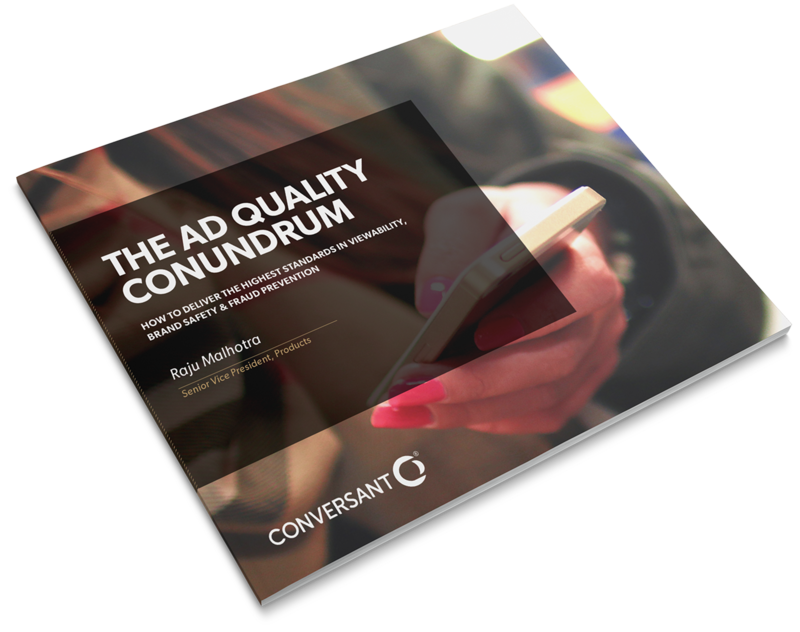 In fact, our proprietary approach to combatting ad fraud is unparalleled in the industry. We’ve got the most precise measurement and consumer insights in the industry. Your marketing investment will be spent wisely, as we continuously observe and learn from your campaign to keep the messages compelling. You'll have full visibility into your campaign's power, broken down by channel, location, device, audience, creative and more. For every dollar you spend, you'll understand your incremental return on investment, from direct sales to offline sales and their overlaps, over the lifetime of your customers. 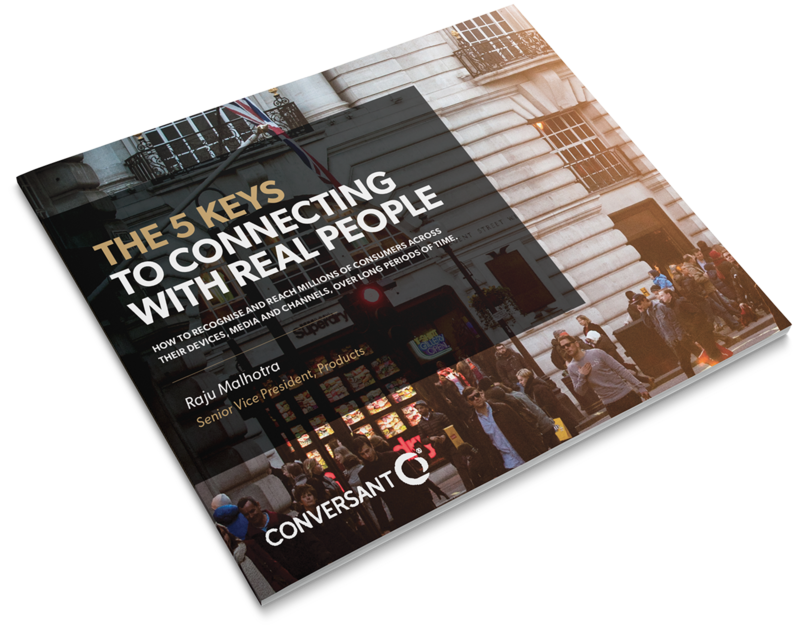 "Conversant is able to reach and reengage our customers with unprecedented accuracy, allowing us to target the most relevant messages at the right times in the purchase funnel." To be able to speak to consumers with accurate and compelling messages, marketers need one view of them across all the channels and devices they own and engage with. The word “personalisation” has come to define anything even remotely targeted or customised. How to deliver the highest standards in viewability, brand safety & fraud prevention.